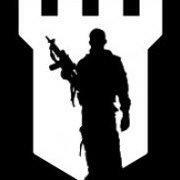 Sites: After Dark C.Q.B.<br /> Darkwater Airsoft Darkwater Site<br /> Blitz CQB<br /> Airborne Airsoft Events.<br /> Cool Under Fire. I just wanted to tell you guys about my 2 sites. Darksite is a 28 acre woodland site, with a post apocalyptic theme. We run the first 3 Sundays a Month. The 1st Sunday follows our Storyline Mode, where 3 factions battle it out with limited rescources and limited manpower. The outcome of each Story Mode Game directly affects the outcome of the following Story. So, if a faction retrieves a perk in one, it's available in the next. The following 2 Game Days are old favourite Skirmishes. Walk On is only £20 and rentals are £45 inc Game day fee. After Dark C.Q.B is set within a Laser Tag Arena. We are open every 1st and 3rd Wednesday of the month. We play short, snappy games that quench your mid week fix. Walk on is £20 and rentals are £35. After Dark C.Q.B has featured in Airsoft Action and Darksite is due to feature this year. It'd be great to see you guys there.